2 Bedroom Townhouse In NE Edmonton - 2.5 Baths! This gorgeous townhouse is located in North Edmonton, just off the Anthony Henday! Making any commute a breeze! The Namao Shopping Center with most major shopping amenities is just minutes away too! The townhouse itself features a beautiful dark kitchen, with fridge, stove, microwave and even a dishwasher! Not to mention the large island, which means tons of counter space! The open concept room design features a dining area and large living room. The entire space features stunning dark laminate flooring and lots of windows to bring in the natural light! Upstairs you will find a massive master bedroom with a walk in closet, perfect for any wardrobe, and a full bath en-suite complete with a stand-up shower!! WOW! There is a second bedroom, along with another full bath complete with a tub shower, and linen closets. The unit also features a single car garage as well as a small den area. 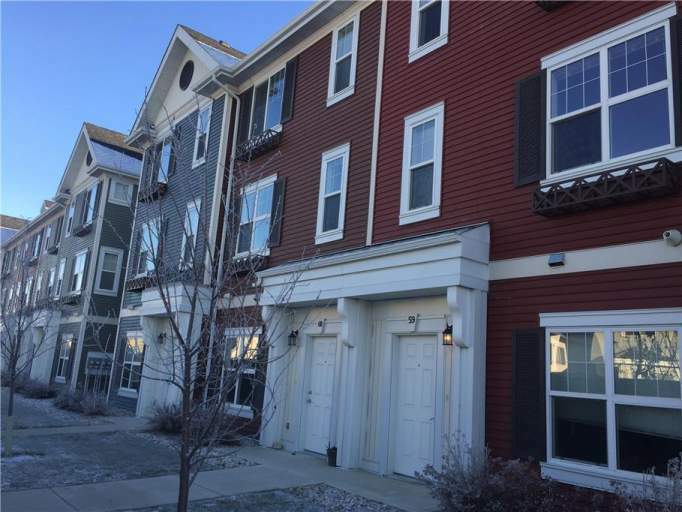 2 Bedroom Unit Availability - 2 Bedroom Townhouse In NE Edmonton - 2.5 Baths!